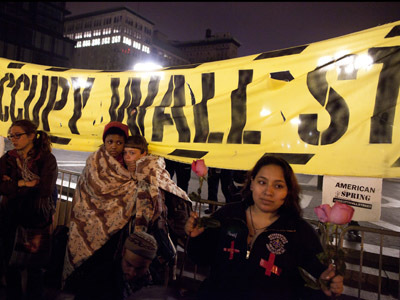 A new study has revealed that over half Wall Street company executives believe the Occupy movement has had an impact on their business. Up to 94 per cent say their firms got a negative public reaction by action or inaction. ­The results of the study, commissioned by Makovsky, an integrated communications firm, do come as something of a surprise. The majority of the surveyed personnel think a negative public perception is the key challenge to be overcome in the next year, while previously they were more worried about recovery and stabilization. Eighty-one per cent of those surveyed said they were worried about public reaction to executive compensation in the industry, while about 74 per cent believe increased regulation of the financial market would help the companies build a better public image. The surveyed personnel also believe that their reputation wasn’t boosted by the use of social media. The majority of the executives said these efforts had a neutral impact, while only 40 per cent noted that it was positive. “We see social media as an emerging communications channel and solution for financial services firms and with regulatory bodies continuing to soften guidelines, social media will grow in importance, especially to improve public perception and connect with customers,” Tagney predicted. 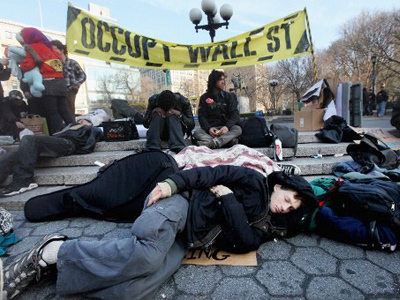 How do the executives view the impact of the ongoing Occupy Wall Street movement? About 53 per cent noted that their companies had been affected by the movement, while only 38 per cent said they were surprised by it. The study also showed that most of the surveyed personnel believe OWS is here to stay, with 71 per cent saying they expect it to continue beyond the presidential election this fall. ­The survey was commissioned by Makovsky, an integrated communications firm with a specialization in financial services, and was conducted online by Echo Research in February-March 2012. The communications research company completed 150 interviews with personnel responsible for the management and supervision of communication or marketing at large or mid-sized public financial services institutions, including banks, brokerage firms, asset management firms and insurance companies. 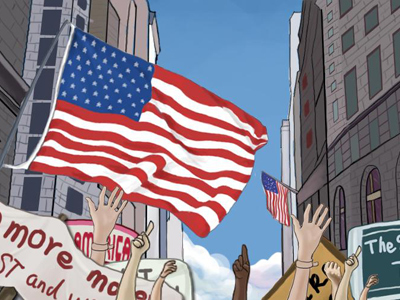 “With the six-month anniversary of the movement sparking a resurgence, the consensus is that Occupy Wall Street is not going away anytime soon, and financial services executives need to be better prepared to address this issue moving forward,” Tagney said. So the study does reveal something new. Executives are now not as concerned with recovery and stabilization and are focusing their attention on public perception. But will they be brave enough to tackle the issues put forward by the Occupy Wall Street movement and use social media to get the public’s feedback?